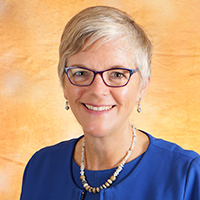 Senior Associate Dean for Academics Mavis Schorn, PhD, CNM, FACNM, FAAN, has been named a Distinguished Fellow of the National Academies of Practice (NAP) in Nursing. Schorn was selected in recognition of her leadership and achievements in nursing, education and research. She has served as senior associate dean since 2013 and oversees academic programs and services for the School of Nursing. She is active in interprofessional education and works with the Vanderbilt University Medical Center interprofessional student-run clinic, Vanderbilt Program for Interprofessional Learning, Southeast Consortium for Interprofessional Education and the Vanderbilt-Meharry Alliance Interprofessional Collaboration. Schorn’s research interests include the third stage of labor and evaluation of teaching methods. She is a fellow of the American College of Nurse-Midwives and the American Academy of Nursing. She will be formally inducted into NAP in March. NAP is a nonprofit organization that advises U.S. governmental bodies on health care. Members are practitioners and scholars from 14 health care professions working in collaboration to influence and promote national health policy, legislation, quality health care and research. Vanderbilt University School of Nursing faculty members Jennifer Kim, DNP, and Abby Parish, DNP, were recently elected as Distinguished Practitioners and Fellows of the National Academies of Practice (NAP).